"All hail, Macbeth, that shalt be king hereafter." The Weinstein Co has debuted the official US trailer for Justin Kurzel's Macbeth, the precursor to Fassbender's Assassin's Creed (also directed by Kurzel), and one of the most talked about films coming out of Cannes this year. Michael Fassbender stars as Macbeth, a duke of Scotland, in this Shakespeare adaptation also starring Marion Cotillard as Lady Macbeth. The cast also includes Elizabeth Debicki, Marion Cotillard, Sean Harris, David Thewlis, Jack Reynor and Paddy Considine. There are some really spectacular shots shown in this trailer, from cinematographer Adam Arkapaw, and overall it looks like my kind of Shakespeare movie. Dark, gritty, enthralling, and visceral. Macbeth is directed by Justin Kurzel (The Turning, The Snowtown Murders) and written by Todd Louiso (Hello I Must Be Going, Love Liza, The Marc Pease Experience), based on William Shakespeare's classic play of the same name. Set in the 11th century and using Shakespeare's original dialogue, the film follows General Macbeth (Michael Fassbender), whose ambitious wife (Marion Cotillard) urges him to use wicked means in order to gain power of the throne over the sitting king. 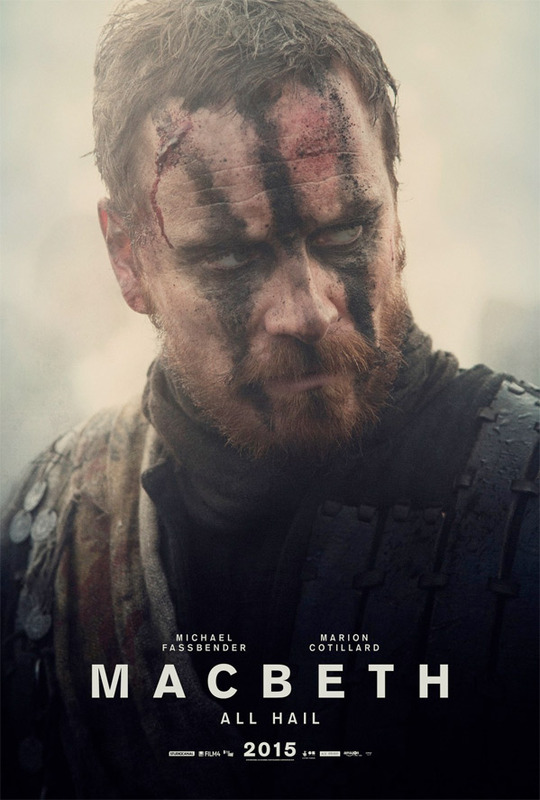 Kurzel's Macbeth recently premiered as one of the films In-Competition at this year's Cannes Film Festival. The Weinstein Company will be releasing the film in the US. Kurzel's Macbeth opens in the UK this October, then in the US starting on December 4th. Damn, Fassbender is one busy dude! This looks interesting! Hmm, interesting trailer. One of the very few films I was actually looking forward to seeing this year. Like a painting with light. This is the kind of film I would like to see in IMAX. Stunning cinematography. There is nothing more that i hate than Shakespeare, that being said the look of this movie is dope. Also, Fassbender is man crush for life. Marion Cotillard is a horrible choice for this movie. I would have gone with Keira Knightley or Rebecca Ferguson or Emilia Clarke. Couldn't disagree more. Clarke would've given this movie an unfair Game of Thrones association, and Knightley is just not a good actress, plus she doesn't fit into the setting as well (as seen in King Arthur). Cotillard may be a good French actress, but no way in hell is she a convincing 'Lady Macbeth.' But then again I seriously hate her acting and that god awful accent. Haven't been that thrilled about a Shakespeare film adapation in years. Michael Fassbender and Marion Cotillard seem to give their all as we've come to expect of them, Justin Kurzel is an incredible choice for directing this judging from his haunting previous film The Snowtown Murders and the cinematography is flat-out gorgeous. I can't wait for this!